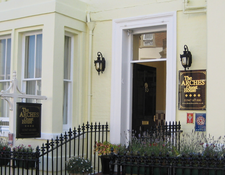 Dave and Laura would be delighted to welcome you to the Arches Guest House, a relaxing family run 4 star Victorian guest house, on Whitby's West Cliff, just 5 minutes walk from Whitby town, harbour and Whitby beach. A warm welcome starts the moment you arrive with the offer of a pot of tea or coffee helping you to relax straight away and a home baked delight....? Our stylishly decorated rooms have Egyptian cotton bedding and towels, complimentary refreshments, WiFi and modern flat screen TV's. 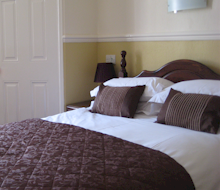 Each of our double, twin and family rooms are en-suite, and our single rooms each have private bathrooms. We offer generous award winning breakfasts including full English, vegetarian and daily specials, as well as fresh fruit salad, home baked banana bread, homemade marmalade and preserves, and not to mention real coffee!